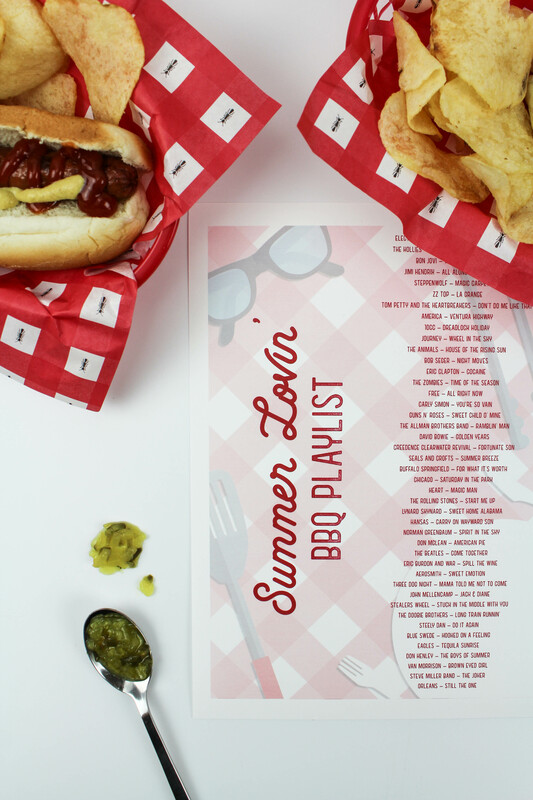 I love BBQ’s because they are easy to throw together, casual, and fun! You can expand your entertaining space outside and don’t have to worry about getting every inch of your house clean when friends and family come over. (Clean the bathrooms and shut the doors to every other room. I won’t tell). 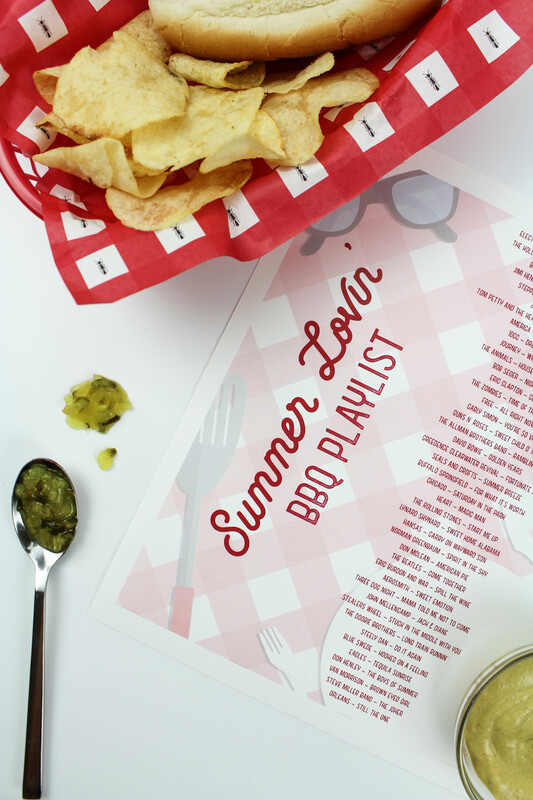 With a fuss-free menu and drinks on ice, you’ll have time to enjoy the summer heat with your guests. But what’s going to get everyone in the mood to celebrate? 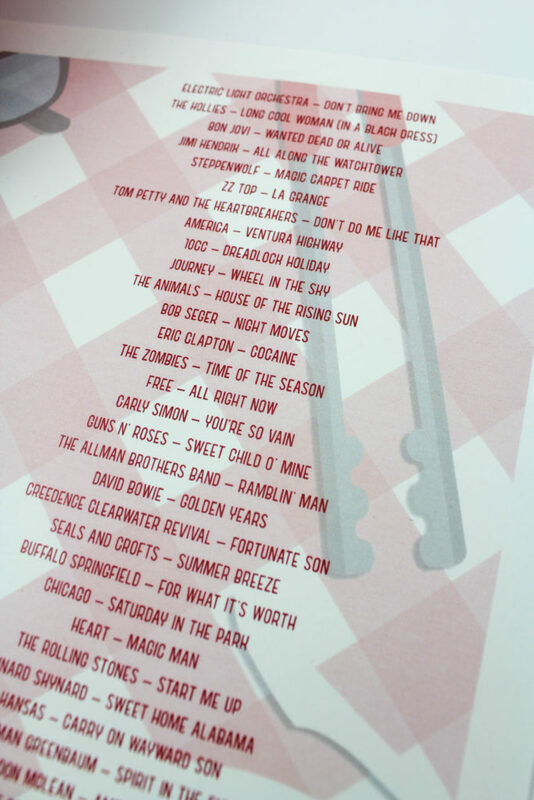 A great playlist. Duh. 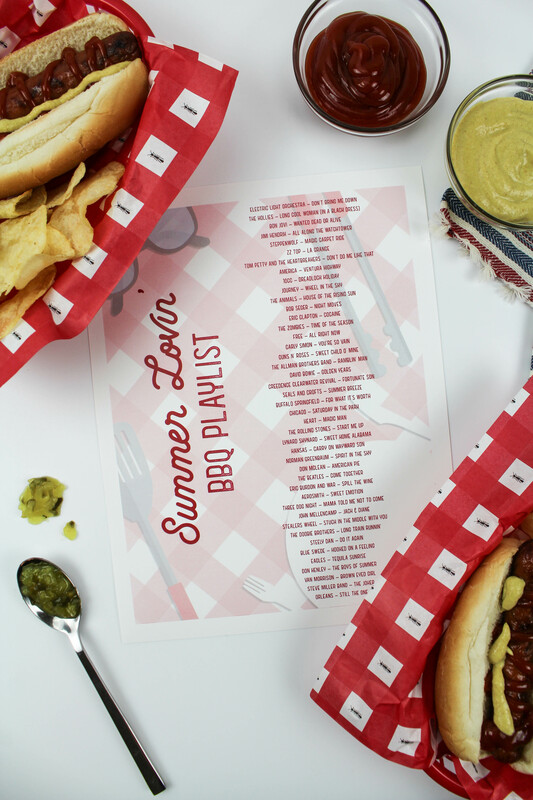 America, Bon Jovi, Chicago, the Eagles, and many more, the gang’s all here on this playlist. Get ready to sip cold beer, bbq some burgers and dogs, and play some outdoor lawn games too! Don’t forget the popsicles! 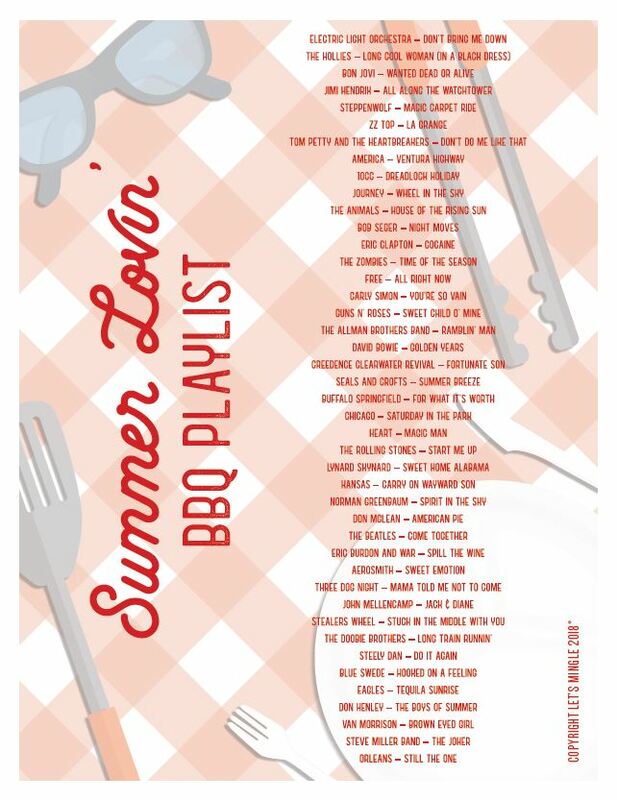 You can download the printable summer BBQ playlist here, or just pin the image above to reference later.